The very first time I visited Bangkok about 7 years ago, I followed a packaged tour group. That was the last time I ever joined a tour group. I was in a bus together with all the other tourists and we were brought to some of the famous tourist attractions as planned in our itinerary. Nothing wrong with that, except that we were forced to stop at countless factories and souvenir shops which were a complete waste of time. My subsequent visits to Bangkok were all done on my own. I did my own research, planned my own itinerary, and booked my own flights and hotel accommodations. I have to say traveling on my own was ten times more rewarding and satisfying. Besides I get to visit places that were normally not included in tour packages. 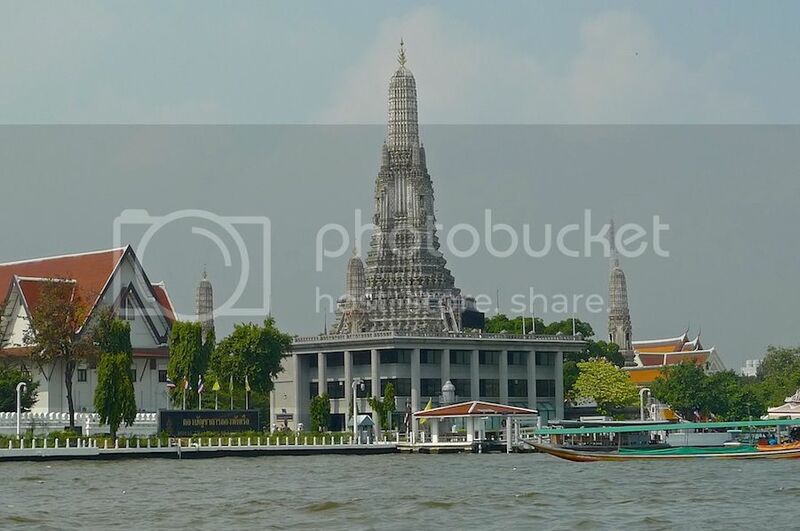 Sure, following a tour group would get you to famous tourist attractions like Wat Arun, also known as Temple Of Dawn. 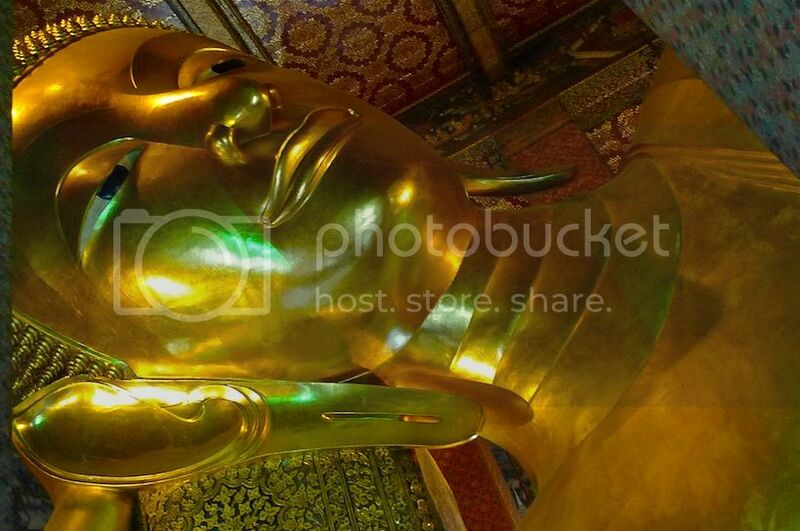 Or Wat Pho - the temple that contains the giant reclining Buddha statue. 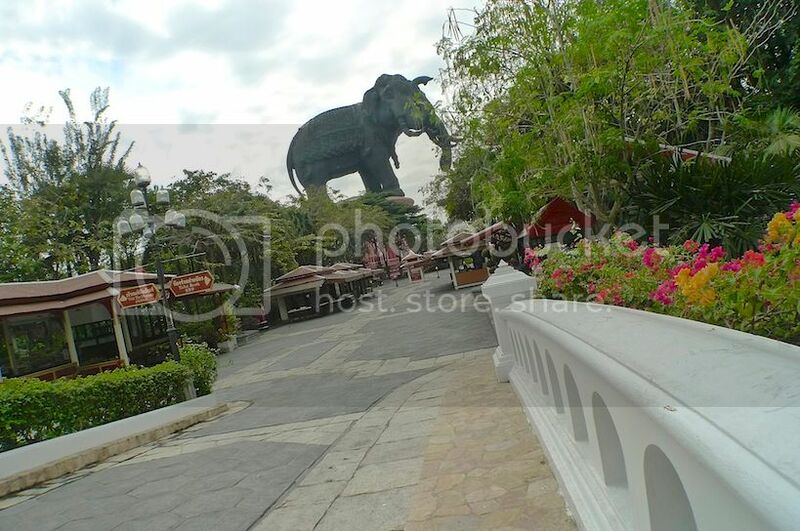 Or tourist spots like Chatuchak Market, Floating Market and the Grand Palace. But you have to follow a strict schedule and you can't linger a bit longer at places that you like. Whereas, traveling on my own gives me the freedom to stay as long as I want at places I like. For example, during my trip to Bangkok in 2013, I visited the Erawan Museum which is not in most tour agency's itinerary. And I took my own sweet time to explore the place to my heart's content. It was such an amazing museum and I had no regrets at all! 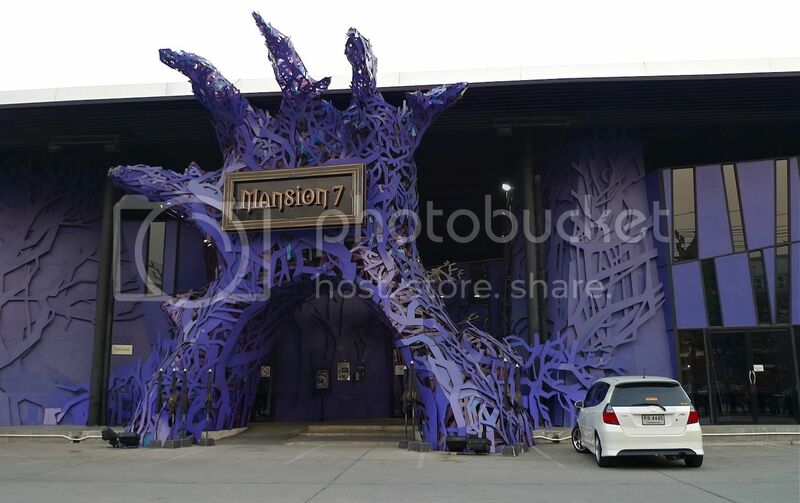 And back in 2012, I visited the Haunted Mansion 7, a boutique thriller mall that looked just like a haunted mansion! Interesting places like these were never really highlighted in tour packages. Besides that, I also get to enjoy local Thai food by exploring on my own instead of eating at uninteresting restaurants planned by the tour company. These were some of the food I tried. Unique names like Volcanic Fried Mussels and Oysters. 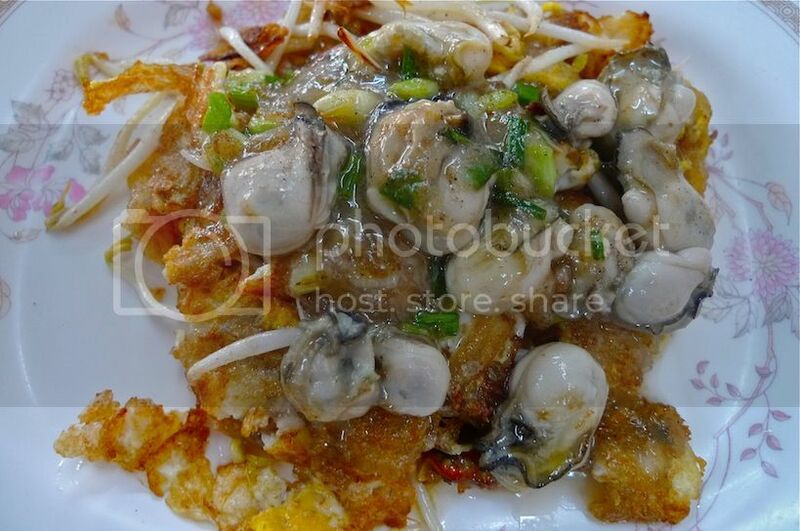 Big juicy oysters and mussels on top of a bed of bean sprout and eggs! Yum! 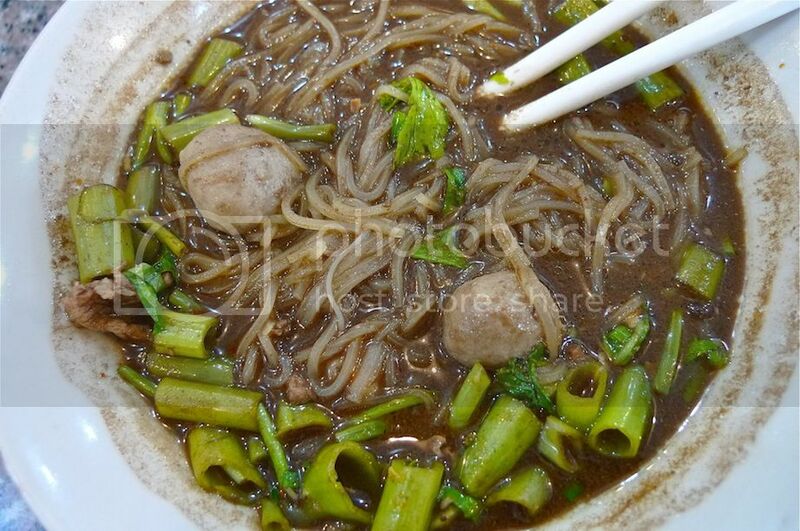 Boat noodles. Didn't look appetising, but it was delicious! 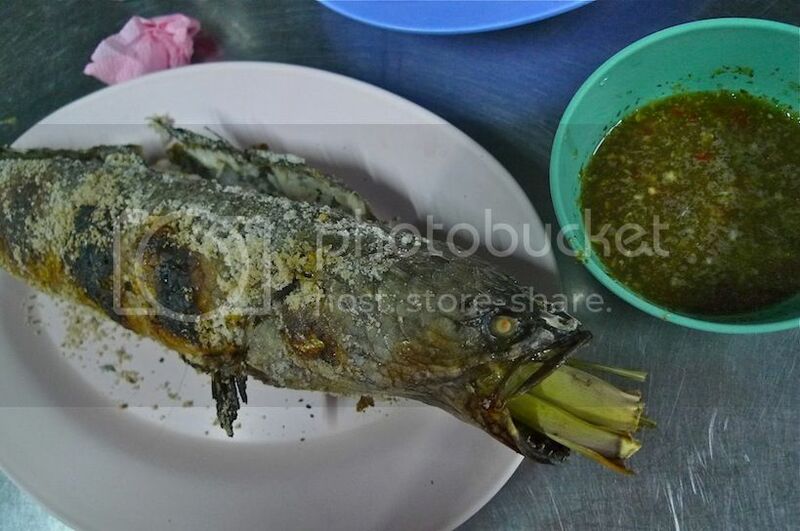 Grilled fish. Dipping the fish meat into the spicy Thai chill sauce was almost heavenly! Recently, I discovered an even better way to see and eat your way in Bangkok. Although visiting Bangkok on your own beats going there with a tour company, nothing really beats experiencing the 'real' Bangkok with the locals. If you like to taste authentic Thai food just like what the locals eat, and participate in homestay programs with the locals, then Withlocals offers a great opportunity to do just that! In fact, I think I will sign up for this and plan for my next visit to Bangkok soon! Can't wait to eat with the locals, wander off the beaten track and uncover hidden gems in Bangkok that only the locals knew best!